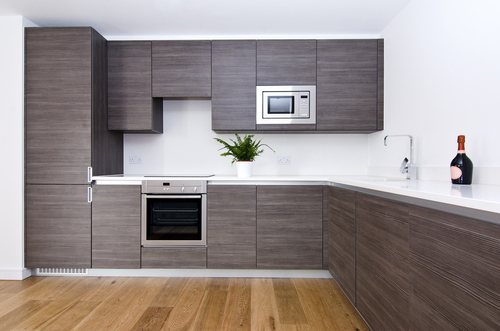 Singapore Kitchen Cabinet: What Is The Best Kitchen Cabinet Material? What Is The Best Kitchen Cabinet Material? Improving the overall look of your kitchen makes a huge impact in the entire home, being the heart itself where various activities take place from cooking and preparing meals to hosting gatherings. The kitchen cabinet is one of the main highlights that is able to give any Singapore home a distinctive appearance. There are seemingly endless options to choose from, ranging from budget savvy types to high-end upscale prices. Here are some of the most durable and high-quality materials that include hardwood, softwood, metal, eco-friendly, and more. Each material has its own functions you should learn to help you find the right cabinet that will meet your needs. Derived from a broadleaved tree which is quite strong and holds a distinguished beauty. Red Oak - A type of hardwood which is tough, flexible, and durable, yet affordable. The surface is made up of a grainy pattern which is predominant in conventional kitchen cabinets. 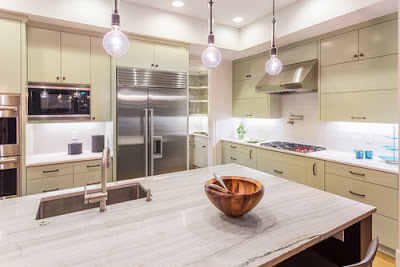 It arrives in a myriad of styles and finishes, therefore allowing you to customize its appearance, have it semi-custom made or opt for stock cabinets. Hard Maple Wood- Another type which arrives in a soft and light color that contains a pattern of exquisite, fine grains that display uniformity. This kind of hardwood is extremely durable, but a bit more costly than red oak which is typically dressed using a natural or clear finish for a brighter ambiance and contemporary style. Ash Wood - Highly resembles oak when it comes to durability and strength, but is lighter in color and a more discerning shape. The straight grain the material holds produces a modern effect, especially when coated with a clear or natural finish, making it ideal for custom-made cabinets. Birch Wood - A fine grain wood, like maple, but relatively darker and is less expensive, but exhibits stellar qualities of durability and versatility. When stained, it can acquire the look of maple or cherry at less the cost. However, the downside of birch is that it can develop uneven coloring which explains why it is cheaper than most other woods available in today's market. Cherry Wood - Very tough hardwood designed to endure the roughest kitchen scenarios as it is able to withstand marring and knocking over. Instantly gives off a formal appeal when laden in a classic style, or elicit a modern look if you wish. It has a smooth surface that is comprised of fine grains in comes reddish brown color, which can be stained if you prefer and would usually get darker over time. The rich and dark finish produces a desirable timeless charm. For a more exotic and unique appearance, opt for Mahogany, Bamboo, Sapele, or Anaglade. Derived from a conifer like pine, fir, or spruce. This material is common in kitchen cabinets too, wherein the most reliable type of softwood is pine, though it can dent faster than hardwood. It basically has a pale yellow shade but can be stained, or incorporated with knots to highlight a classic look. A thin but strong wooden board that is made up of 2 or more layers that are glued and pressed together. The direction of the grain appears alternating, and is usually sold in sheets of 4 x 8 feet. Thinly sliced wooden sheets which are basically applied to the core panel of furniture. It radiates the warmth and astounding beauty of natural wood since it presents consistency in both grain and color. High-pressure treated laminate cabinets are highly durable, but significantly heavier compared to wood. The low-pressure treated types are otherwise lighter, but are not that tough in terms of impact resistance. Wrap technology infused in these types eliminate the possibility of de-lamination, peeling, or cracking. Laminate exhibits resistance to UV light, aging, moisture, staining, and is not susceptible to heat damage. A material which is created from the application of heat along with pressure for the purpose of bonding a thin PVC layer to an MDF component, whereby the process results to a smooth surface utilized for coating panels, edges, and faces. It can be used to cover plywood or particleboard for replicating the look of natural wood while detailing more closely compared to laminate. A great alternative for wood which is durable, less prone to discoloration and acquiring an uneven tone, and easy to maintain. This material is highly flexible in terms of styling, shades and tones, and attractive designs. A more expensive option compared to wood, but is easier to maintain where cleaning won't be a tedious task. It is highly durable too, and resistant to rust, such as aluminum which is regarded as the best metal for kitchen cabinets. This material gives off a modern look to any kitchen and bestows it with style and elegance. Metal or steel tends to glisten amidst kitchen lights with its naturally glossy surface. Opening the cabinets can be easily done with its lightweight properties, even when the material is enhanced by tough alloys that deliver its sturdy and long-lasting quality. Aluminum is non toxic and waterproof which ensures safety of the foods you store in it. 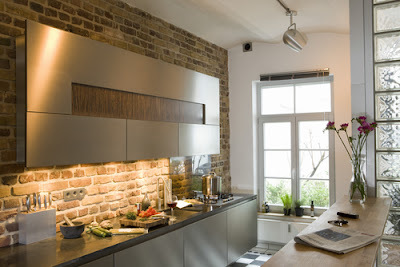 When choosing the best kitchen cabinet material for your HDB, there are many things to consider to come up with the ambiance you wish to have. The size of your kitchen is taken into account, the color of the cabinet, its style, price, and what exactly you will be placing in it. Maintenance is also an important factor to make kitchen life easier for you. Most importantly, the best kitchen cabinet material must be acquired to enjoy its long-term benefits and help you save money in the future. It's possible to get the perfect cabinet for your home while sticking to your budget, and to come up with a wise decision, it would be a good idea to consult a credible and trustworthy kitchen cabinet installation company.